This statistic shows the population growth in Greece from 2007 to 2017. In 2017, the population in Greece decreased by about 0.14 percent compared to the previous year. 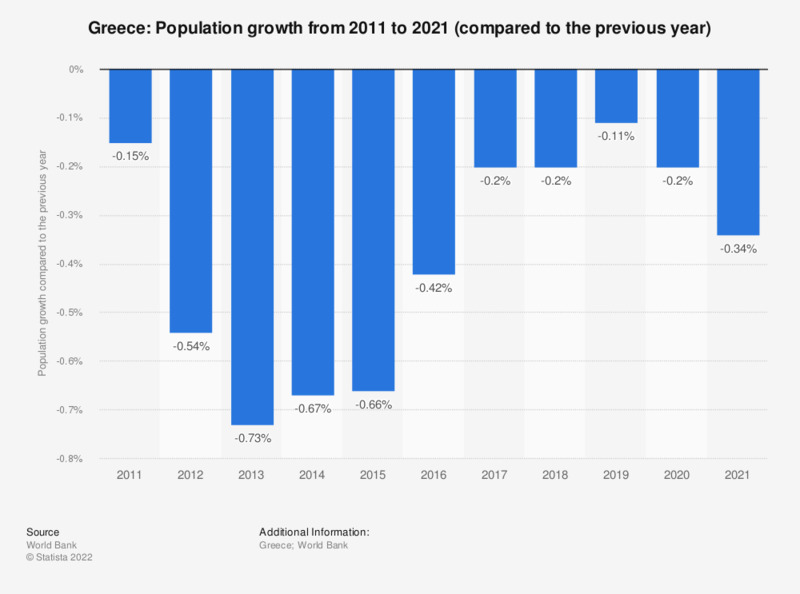 See the Greek population figures for comparison.